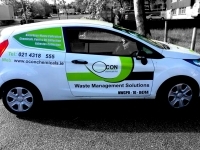 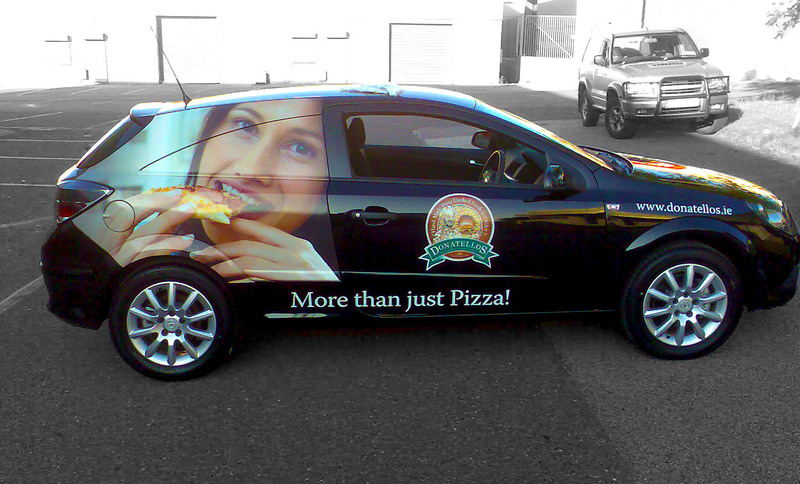 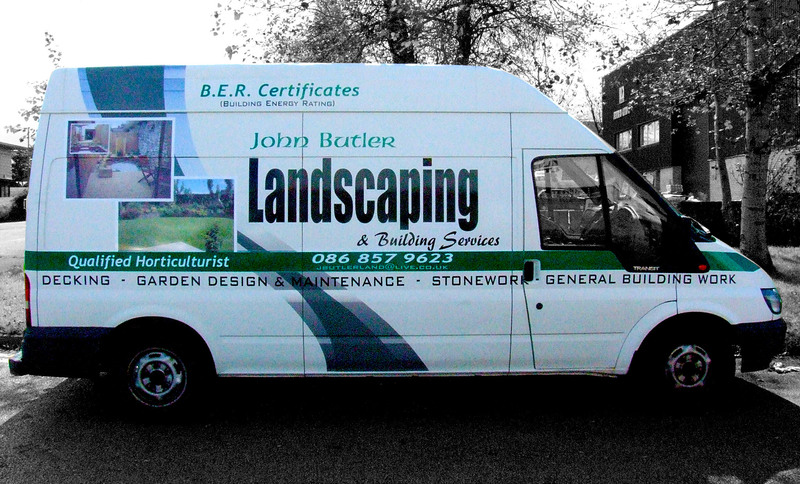 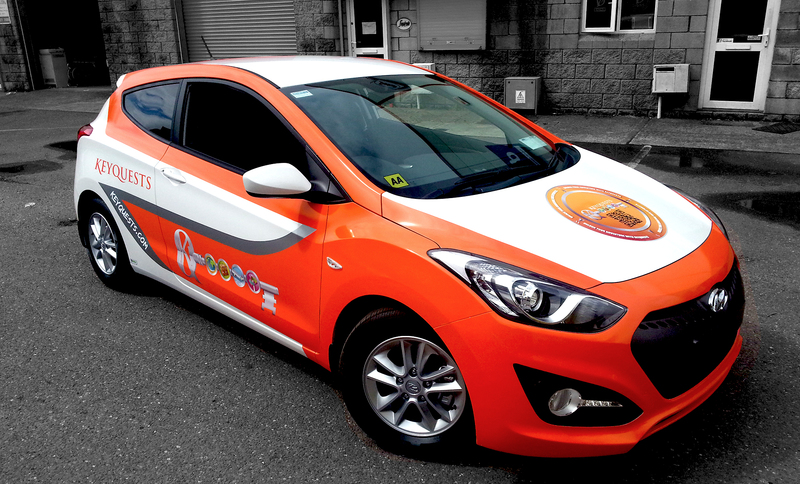 A full vehicle wrap is the ultimate in product for company branding. 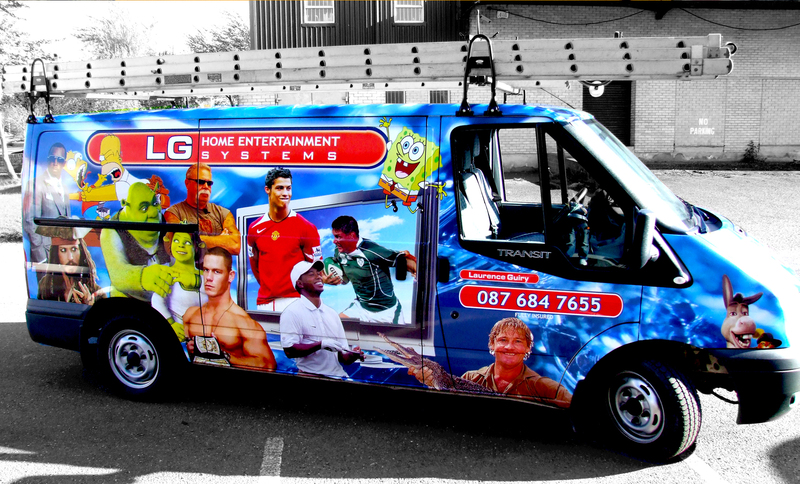 Your vehicles are on the road 5+ days a week; what better advertising! 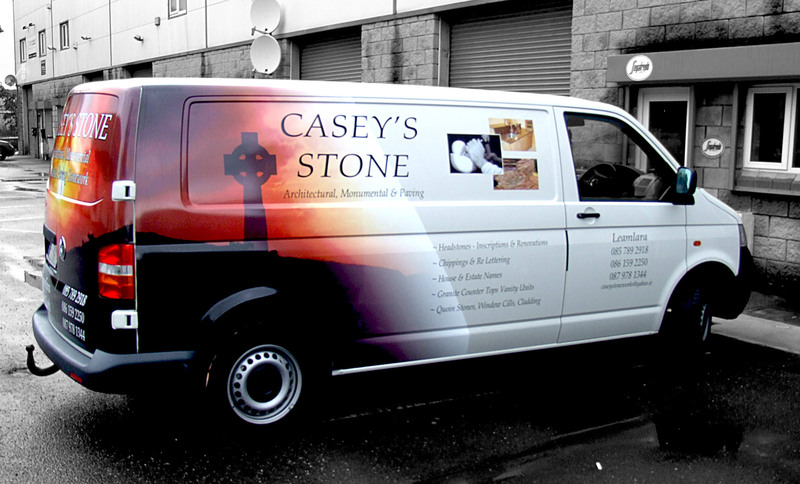 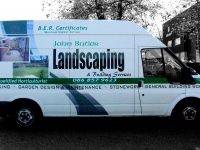 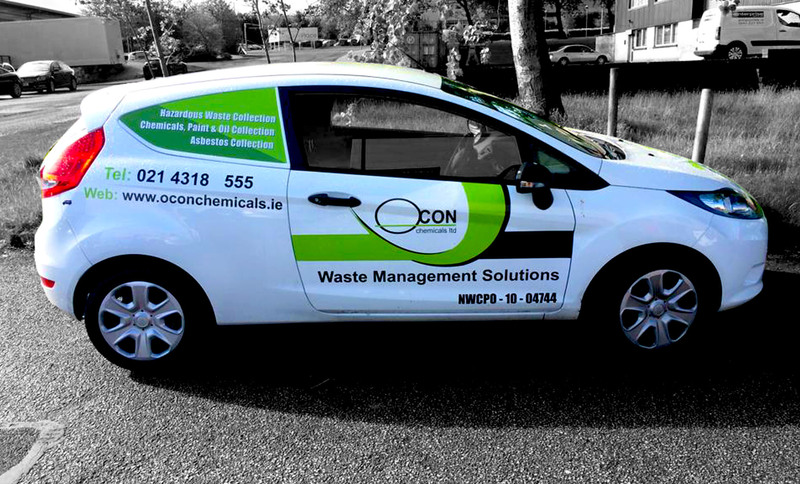 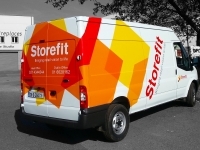 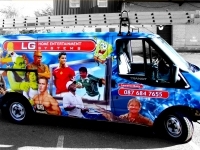 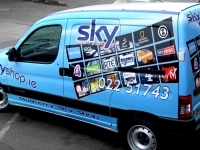 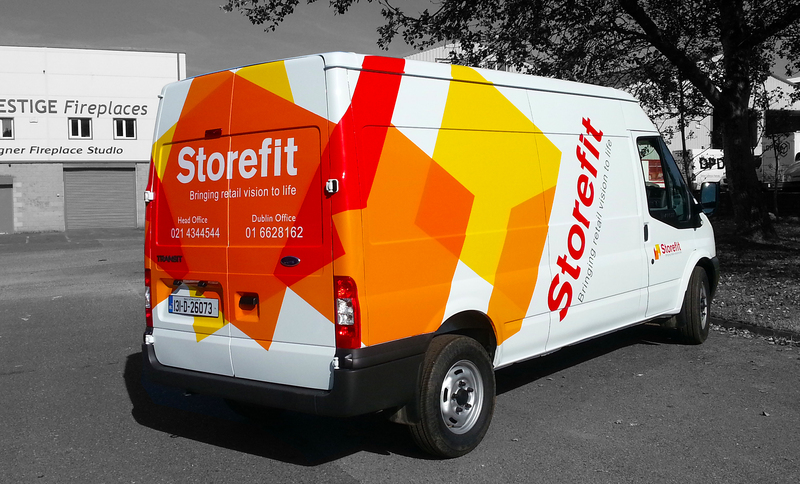 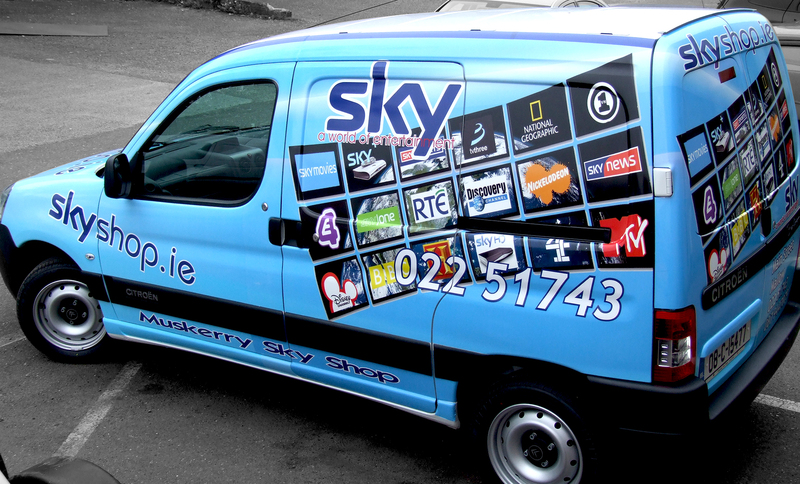 The vehicle wrap is done using a conformable PVC vinyl, printed with your unique logo and design, laminated for maximum weather protection and applied directly onto the body of your van or car. 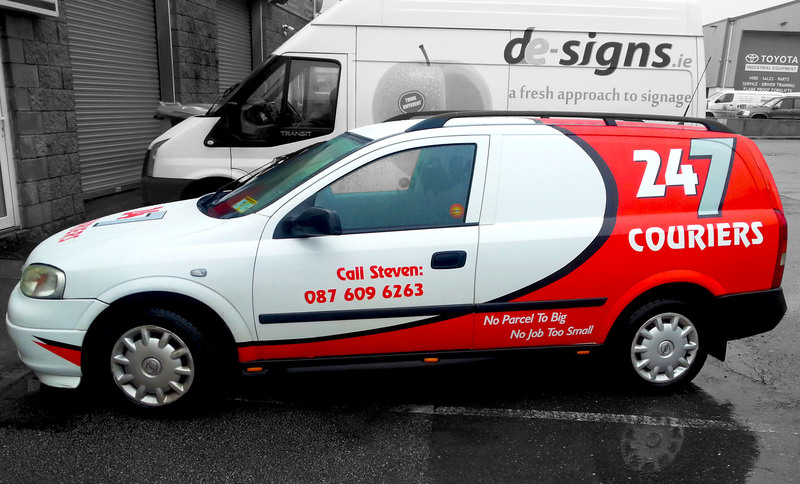 A good quality vehicle wrap applied by the qualified fitters at De-Signs will give your vehicle a perfect, smooth, paint-like finish. 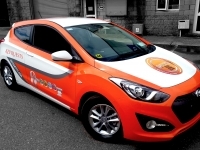 If your vehicle is white and there is a lot of white in your design, you may find that a partial vehicle wrap is more suitable to your needs. 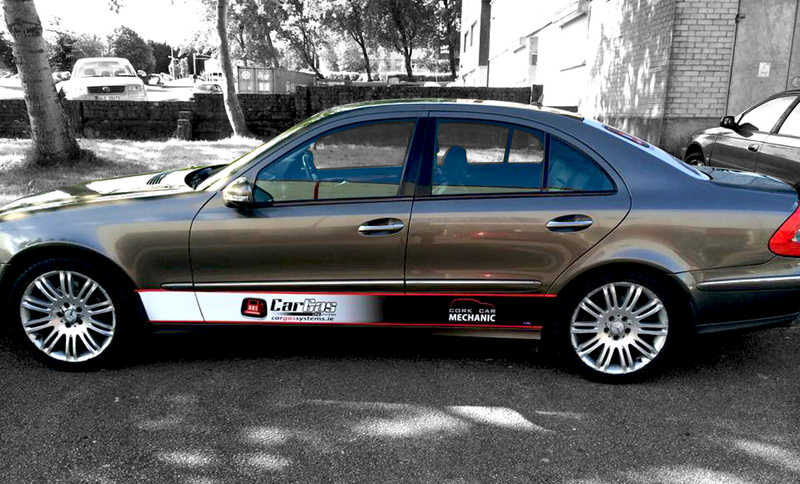 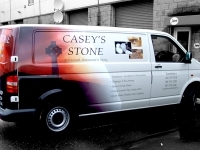 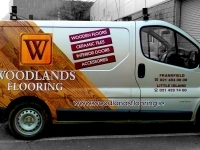 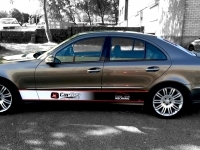 With a partial vehicle wrap use the background colour of the vehicle, wrapping only a portion of the vehicle in a graphic. 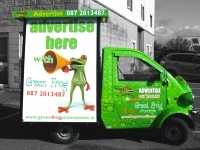 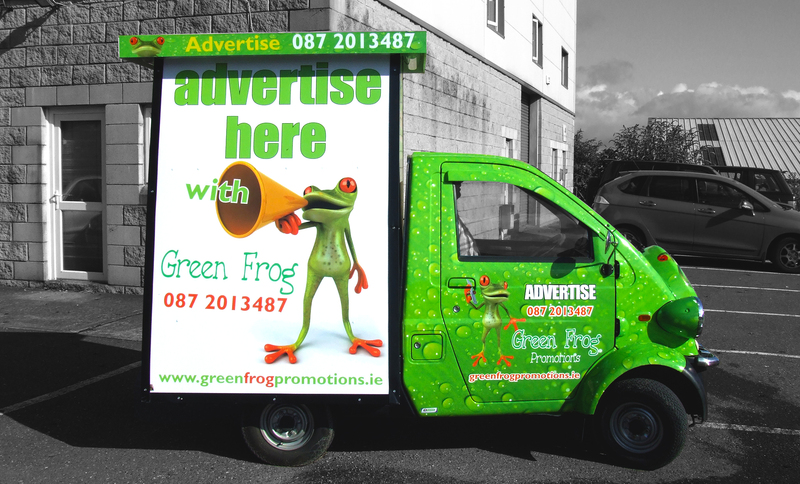 This of course saves money over a full vehicle wrap while at the same time offering a visually striking form of advertising for your business. 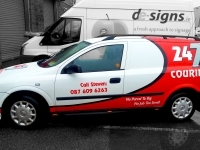 Vehicle sign graphics or vehicle sign writing if applied properly will be the most cost effective advertising your company can purchase. 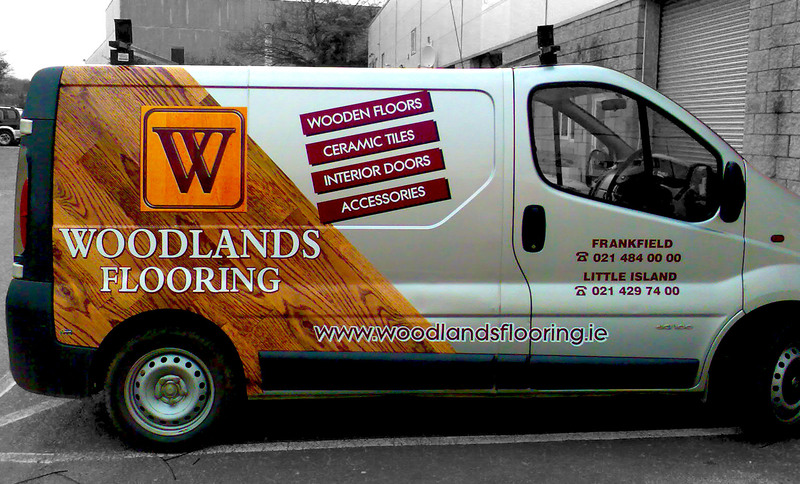 The key to being noticed is a powerful vinyl graphic and at De-Signs we will work with you from initial ideas to the final application. 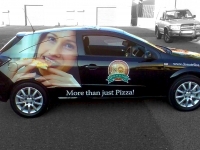 Our team will help you to create a vehicle graphic to meet your specific marketing needs and your budget; advising on the most suitable material, whether its vinyl lettering or digitally printed images or a combination of both.